Ray Barretto, originally uploaded by in2jazz. 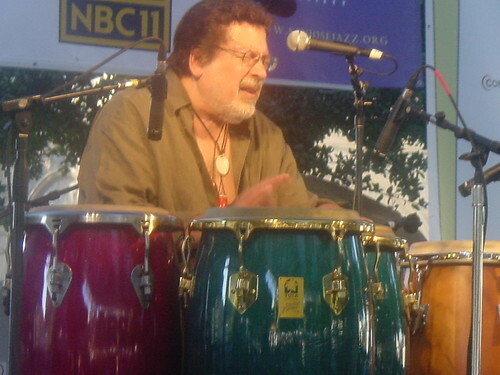 I took this photo of percussionist Ray Barretto near the close of the San Jose Jazz Festival in 2004. The day was filled with great acts including Lizz Wright and Terence Blanchard but when Ray came on the stage, the crowd went wild on that hot summer evening. He was a dynamo and the people danced in front of the stage to his magical rhythms. That is how I will remember him. This entry was posted on Monday, February 20th, 2006 at 5:17 pm. It is filed under San Jose Jazz Festival. You can follow any responses to this entry through the RSS 2.0 feed.